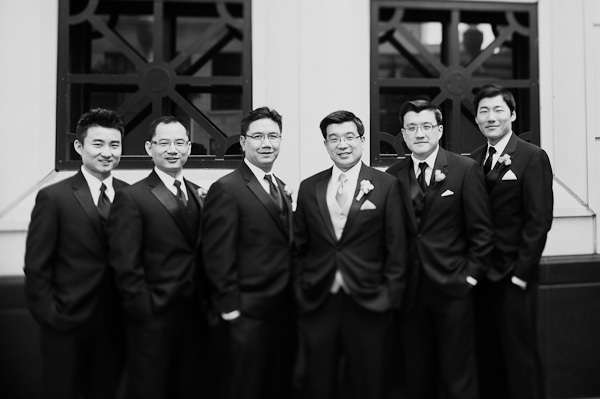 Hitched: Suisui & David's Waldorf Astoria Wedding - Part 1 — Sweetchic Events, Inc. Happy Friday! I had the pleasure of meeting Suisui at the beginning of the year, and they were hoping to plan their wedding on a short time-frame before they moved to California over the summer. We had about 4.5 months to pull together their soft and romantic wedding at the Waldorf Astoria Chicago. Can I just say that Suisui was an absolute JOY to work with!?! I understood her style and the elegant affair she dreamed of, and thus she trusted me and my suggestions, unquestionably. Wedding planner bliss! And now for the gorgeous photos by Pen Carlson. The best thing about an early June wedding is spring flowers!! Peonies! I am in love with these giant arrangements of white and blush pink dendrobium orchids by Vale of Enna! Hundreds of stems went into each arrangement! During their wedding ceremony, they actually performed an unique tradition that I had never heard of before, the Chinese Wine Ceremony! They drank wine from two glasses, linked together by red thread. They first sipped from their own glasses and then exchanged glasses to finish the wine. This symbolizes that their lives together will be harmonious.